Rani Plast has progressed to the finals in the FlexoTechAwards 2017 competition. The annual competition rewards the best flexo printing works. Rani Plast submitted two entries in this year’s competition, and both were picked as finalists. “The fact that two products made with completely different printing styles both made the finals reflects the wide range of our skills,” says Rani Plast Production Manager Petteri Pihajoki. Rani Plast’s competition entries are the packaging for K-Group’s Cello Garden Soil product and the paper packaging for Serla Kesä WC toilet paper. 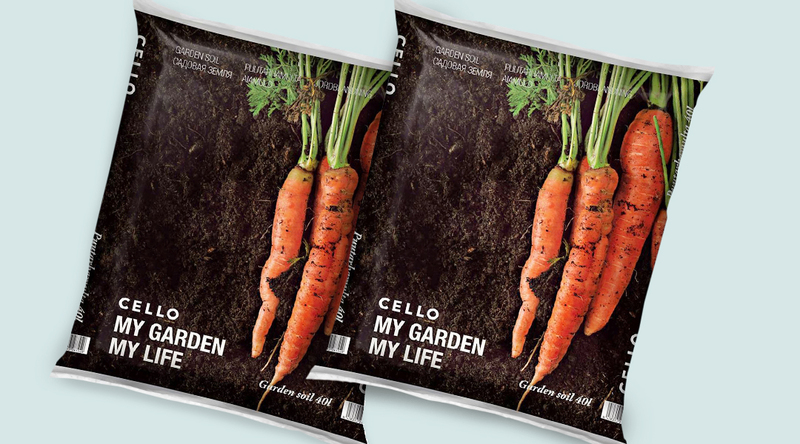 The Cello Garden Soil packaging uses the RaniFFS Peat film specifically meant for peat and soil. The packaging requires its colours to withstand UV light and water, which poses a big challenge for printing. The Serla product packaging is made of RaniClear film, which has excellent optical capabilities. Both films are excellent for printing. “The entries use the CMYK four-colour process, which allows for a wide and controllable colour range,” says Pihajoki. He believes the competition jury drew special attention to the precise and detailed printing quality of the Rani Plast products. Although the folks at Rani Plast are excited about the success in the competition, it came as no surprise. Rani Plast also made the finals in the same competition in 2014, which demonstrates the company’s long-term efforts to produce high-quality printing. “The company has invested in the best printing tools in the industry, and it’s now paying off. However, our biggest thanks go to our skilled and motivated staff,” says Pihajoki. The winners will be chosen in the finals competition in London on 23 November.